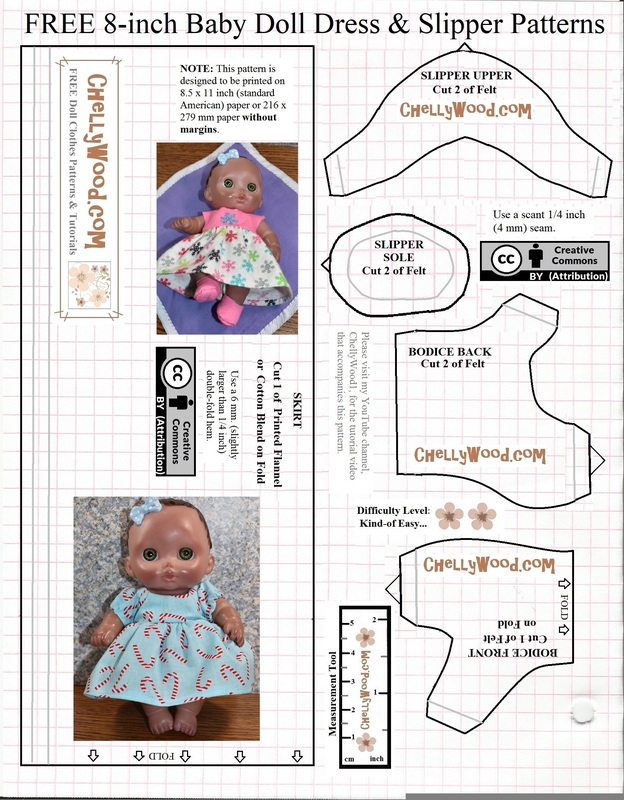 This week I’m offering a FREE printable sewing pattern for an easy-to-sew doll dress that fits 8″ baby dolls like the Lil’ Cutesies doll shown on the pattern above. For easy download, click here, and you will be able to access the graphic image of the pattern as a jpg file. Need help downloading my free, printable sewing patterns? Click here for an instructional tutorial on how to download my free printable baby doll dress pattern and other doll clothes patterns. Do you have questions or suggestions for me as I update this website? Please visit the Changes to Blog page.